Publish your websites easily, quickly and for FREE with Xara Online. Once you’ve created your site in Xara Designer Pro or Web Designer (v11) all you will you need to do is upload it to your free Xara Online web space and your website will be published on the web at your own web address ( And the deal includes 500 MB web space (with FTP access) for free and without time limit! If you already have a Xara account (ie you have purchased a product in our online store) then you don't need to register again for the free hosting, you are all set! If you don't already have a Xara account, simply follow the Register button on this page. You will get 500 MB free web space (with FTP account) and a personal web address ( for your website. Use the Settings option in your Xara Online account to set 'yourname'. 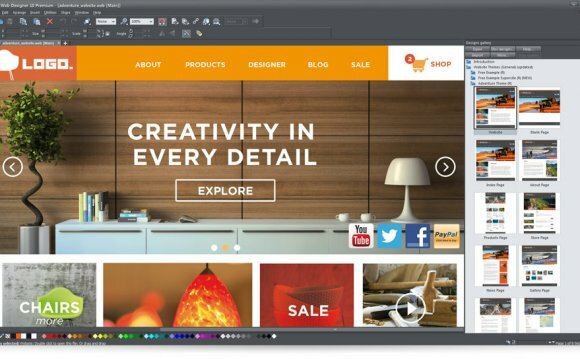 You can upload your website to your free web space directly from the Publish dialog in Xara Designer Pro X11 or Web Designer 11. All you have to do is select the Xara Hosting option in the Publish dialog, enter your Xara account email address and password and publish your website. Please Note: The file name of your initial page must be named index.htm or index.html (lowercase letters). Your website is now online! * The Xara Online web hosting offer is free and there is no pre-set time limit. Terms & Conditions apply which will be displayed on the registration page and must be read and accepted. *The free bundle includes 500MB of storage and a free web address eg You may be offered optional updates to premium versions.